Abner Yalu from Bukawa, Morobe province, is one of Papua New Guinea’s most highly-skilled up-coming agriculture experts with a Bachelor of Science degree from University of PNG, post-graduate certificate from University of Technology and Masters from University of Queensland. The 30-year-old is departing for his MPhil/PhD with Queensland University of Technology (QUT) and Commonwealth Scientific and Industrial Research Organisation (CSIRO), Australia, in July 2010. Mr Yalu is a biometrician (applied statistician) and plant breeder (quantitative genetics). He is currently the leading biometrics consultant for all National Agriculture Research Systems (NARS) such as National Agriculture Research Institute, Fresh Produce Development Agency, Coffee Industry Corporation, Cocoa Coconut Institute, Oil Palm Research Association, etc) in Papua New Guinea. Mr Yalu has resigned from NARI with the aim of starting his own consultancy firm. He has run over 20 statistics and biometrics training workshops and has trained over 100 professional PNG researchers in government and non-governmental organisations. His understanding and expertise in adult learning, learning styles, skills and action learning has made all his training workshops very enjoyable and intellectually-rewarding for all who’ve attended. Mr Yalu has produced a number of statistics training materials including the ‘Mind Map’ of statistical tests that is used in deciding which statistical tests to apply in different research contexts. His present biometrics/statistics trainings target surveys and experimental designs, data analysis and interpretations using statistical techniques such as linear models, mixed models, multivariate statistics, non-parametric, and results reporting and also use of statistical packages such as Genstat, R and SPSS. Some of his consultancies in the past include Australian Centre for International Agriculture Research (ACIAR)-funded biometrics trainings for NARS and World Vision in 2005-2006. Mr Yalu also has international biometrics consultancy experience with Queensland Department of Primary Industries (QDPI&F) and tutoring biometrics at the University of Queensland, Brisbane, Australia. He has plant breeding experience in both self and open-pollinated crops such as taro (Colocasia esculenta) and sweet potato (Ipomea batatas). 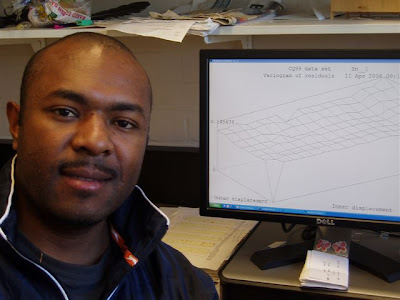 He is well-versed with quantitative research analytical techniques from mixed models to multivariate statistics including MET and pattern analysis and biplots and calculating breeding values, combining abilities, heritability and etc. Mr Yalu’s quantitative genetics knowledge also includes overseas research experience working on bi-informatics projects using online genetics databases to identify genetic sequences, breeding wheat for rust resistance and analysing genotype by environment data of pine tree evaluated across Australia. 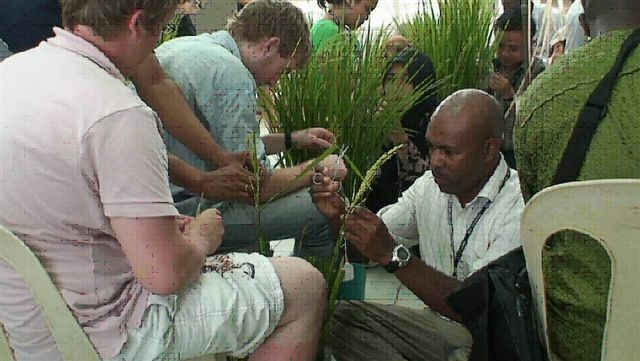 He was also trained in rice (Oryza sativa) research to production in the Philippines in 2009. His experiences have exposed him to extreme physical environments and conditions doing field work in remote places over long periods. 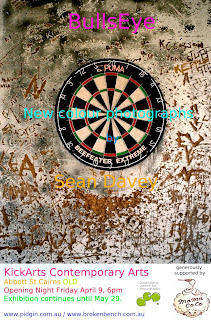 He is well-experienced in carrying out rural surveys, appraisals and impact assessments. He has taken part in surveys such as technology dissemination of rice in East Sepik province and taro in Morobe province. Mr Yalu is a self-taught expert in adult learning and learning skills such as memorisation, study, thinking, learning, reading, writing and public speaking skills and setting and achieving goals. He coaches high school and university students and any interest persons on his free time on voluntary basis as community service. 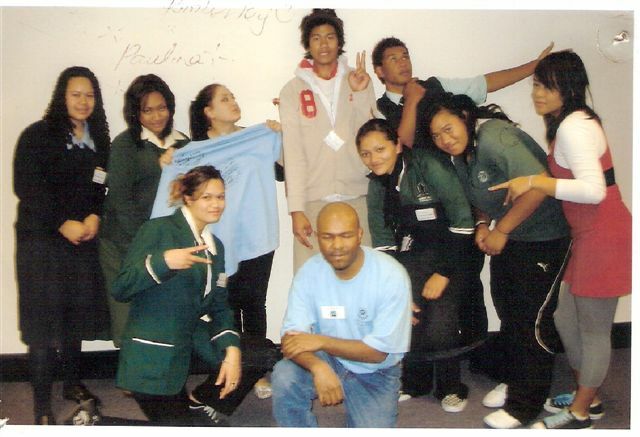 He was a mentor and coach at the Polyvision 2007-Pacific Youths of Tomorrow at the Ipswich Campus, Ipswich, University of Queensland, Brisbane, Australia. His greatest passion is to help young people achieve their dreams in life the way he is living his at the moment. Mr Yalu was born on Sept 14, 1979, to a Lutheran pastor father from Gobadik and a primary school mother from Lae. He did his Grades One to Six from 1987-1992 at Ogelbeing Primary School in Western Highlands province, Grades Seven to 10 from 1993-1996 at Hagen Park High School, Grade 11 at Fatima Secondary in Western Highlands in 1997 and Grade 12 at Malala Secondary in Madang in 1998. From 1999-2002, Mr Yalu was at UPNG studying for his Bachelor of Science Degree. He joined NARI as a cadet scientist from 2003-2005, during which time he completed his post-graduate certificate in scientific communication/adult learning from Unitech, and from 2006-2008 did his Masters in Agriculture Studies, specialising in biometrics and quantitative genetics. THE PNG Women in Agriculture Development Foundation’s (PNG WiADF) two-day discussion in Lae on Tuesday and Wednesday should be a stepping stone for women in Agriculture, for the development of this nation. The importance was stressed with the participation of farmers in forming their strategic plan. The plan would provide an opening for the foundation to seek assistance from government organisations and donor agencies. Initiator of the foundation, Maria Linibi, said she recognised that the majority of PNG's population, of over 85%, lived in the rural areas and their livelihood was dependent on agriculture and related food activities for food production and income. 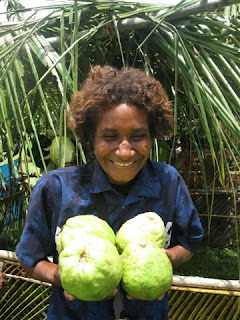 Mrs Linibi said that studies had shown that women in PNG did the majority of work in agriculture. 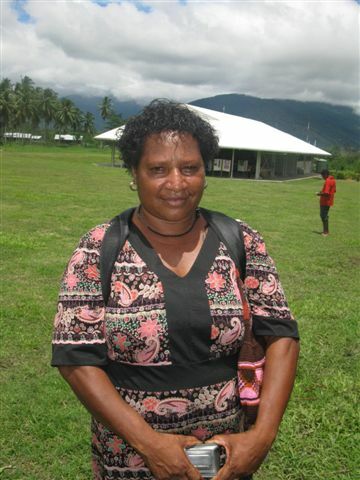 “That was why it was important that the capabilities of women in agriculture be enhanced so that there can be improvement and development in the standard of living in PNG,” she said. The talks attracted organisations and dignitaries from around the country and abroad to speak about the challenges women faced in agriculture development and how they could be assisted in overcoming these obstacles. 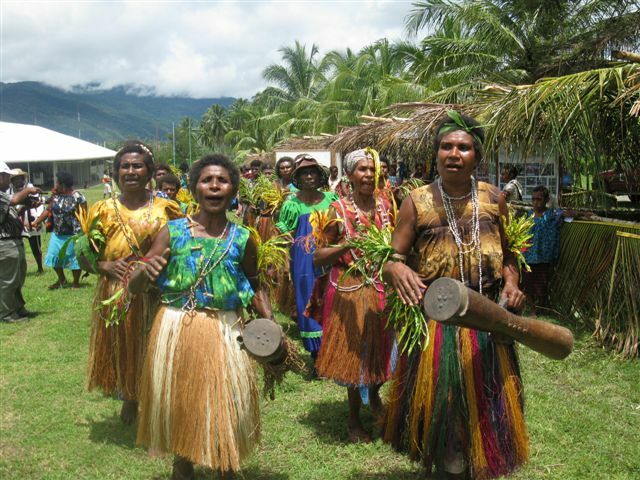 The PNG WiADF was formed in 2007 and today has 24 affiliated groups from 13 different provinces. Mrs Linibi said the foundation committed itself with passion to pursue and implement policies that were conducive to investments in human resource development, research and infrastructure to achieve food security. She said the foundation would encourage generation of employment and income among women and promote equitable access to productive and financial resources. Mrs Linibi said the foundation recognised the importance of food security for sustainable agriculture, floriculture, fisheries, forestry, other natural resources and rural development. She said the sustainable development policies of the foundation would go into promoting full participation and empowerment of women, and equitable distribution of income and access to necessary social services such as education and health. The foundation recognises that improving the quality of life for women can have an enormous effect on society because of the multiple roles women have in raising children, in education and as stewards of natural resources, to provide for their families. Yesterday’s discussion was the highlight of the event where the women participants were able to air their grievances and establish networks with other stakeholders and partners who provided support and alternatives to the foundation’s effectiveness. It was also an opportunity for the women in agriculture to showcase their produce by setting up stalls outside the Allan Quatermain Hall of the National Research Institute in Bubia. Do Australian politicians care about what's happening in Papua New Guinea? Since PNG gained its independence in 1975, all sides of politics have barely been interested in what is happening to one of our closest neighbours. Now that the huge Exxon-Mobil LNG development has been signed off, PNG is entering a dramatic phase in its modern history as it becomes a big player in the international energy market. A Communist Chinese 747 recently landed in Port Moresby, discharging passengers in military uniforms and suits – to sign up lucrative contracts for the supply of LNG to China. PNG politicians and their acolytes will rush to gorge at the money trough whilst many PNG villagers will make do with their A$250 annual income. 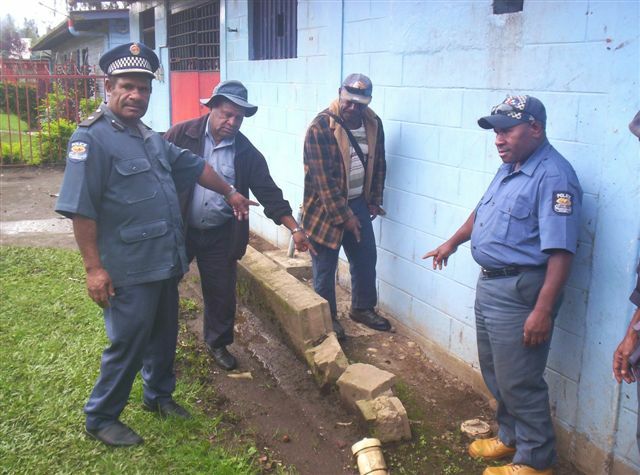 Southern Highlanders whose lands carry the oil and gas, are flooding into Moresby as a cargo cult hysteria builds and PNG faces more pressure on its demoralised Police and Military forces. Twelve violent criminals recently walked out of Moresby's Bomana prison accompanied by a PNG woman posing as a human right lawyer! 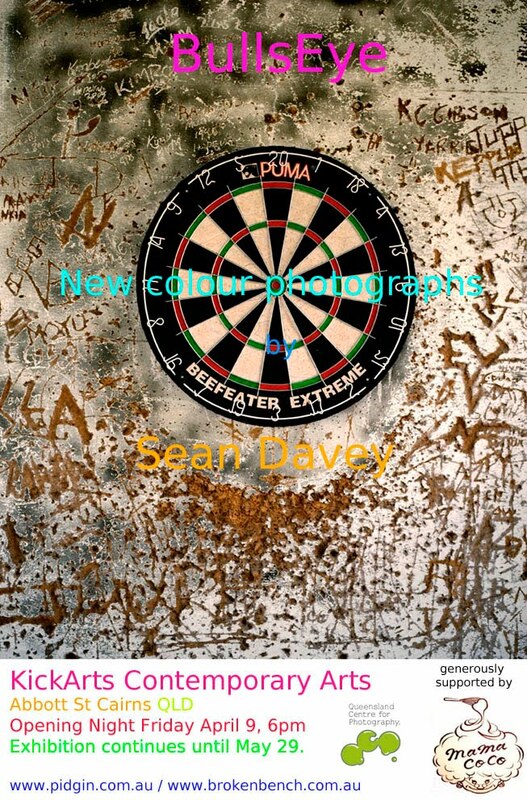 - the possible involvement of senior police and politicians is doing the rounds in local markets and the media – not the best PR for a country where there will be a huge influx of foreigners to work on the project. Do Australian politicians care? Renovation work on the condemned Wabag police cells in Enga province started on Monday, and would take about four weeks to complete, The National reports.Porgera gold mine developer, Barrick (PNG) Ltd, is renovating the seven cells, doing extensions, replacing the sewage system, connecting water and electricity supplies and adding two more security razor wire fencing to the existing one due to numerous breakouts by detainees, usually by digging through the cell floor shown here by acting provincial police commander Chief Insp Martin Lakari and his policemen. The police cells were condemned by the health authorities in 2006. It all started with Wabag resident judge Justice Graham Ellis and his court staff scrubbing the cells on alternate Sundays.-Nationalpic by JAMES APA GUMUNO. THE public could be hit with communication and power blackout heading into the long Easter holiday because of disputes between the phone companies and upgrade work at a power facility, The National reports. Residents in Port Moresby are expected to suffer the most, with the Rouna 2 power station expected to shut down over much of the holiday period for work to be carried out. The dispute over interconnection rates between the mobile phone companies surfaced again this week, with Digicel blocking off traffic, making calls from bemobile to Digicel impossible. Industry sources monitoring the mobile activities yesterday said bemobile customers were hard hit, with Digicel blocking 95% of traffic. Some callers had to try a number of times to get through, causing a lot of frustration. Digicel said yesterday it was having issues with bemobile and Telikom with regard to who was going to pay for outstanding mobile invoices. Digicel said both had denied liability and, therefore, Digicel had not received payments for service (interconnection) provided since June 12 last year. It said the outstanding payments amounted to “several millions of kina”. “Digicel cannot be expected to keep providing services indefinitely when bemobile is unwilling to even engage in discussions around mobile interconnect, outstanding mobile payments and, indeed, have expressly denied liability,” Digicel said in response to questions about why interconnect calls were blocked. But bemobile sources said the current contractual relationship was with Telikom, meaning Telikom pays the interconnect fees owed for mobile to mobile calls and sms. They said Digicel served Telikom with a demand for payment for K2.5 million at the old interconnect rates, and later withdrew this demand. The sources said Digicel withdrew the demand because it could not invoice on the old rates, and did not want to state the new rates as doing so would be seen as acceptance of the new interconnection rate. Digicel has recently gone to court to challenge the new rates introduced by the regulator ICCC, but lost the challenge. Digicel claims it operates a bigger network, and is losing money on the new interconnection rates being applied. Telikom and bemobile disagree, and argue that termination rates should be further reduced, as is the trend around the world. Interconnection rates have dropped about 50%, down to 26 toea (peak) and 22 toea (off peak) per minute, from 46 toea to 42 toea per minute. The rates were set by ICCC last December. Industry sources say a drop in interconnection rate will mean cheaper calls for all mobile users. At present, Digicel has the larger share of the mobile market. It controls about 80%. When contacted about the dispute and the blocking of calls, Communications and Information Department secretary Henao Iduhu said he would meet all three parties to try to resolve the dispute. Officials at ICCC could not be reached for comments. EARLY works on the multi-billion-kina PNG liquefied natural gas (LNG) project are running behind schedule, the delay caused in part by the deteriorating state of the Highlands Highway, The National reports. An official with Esso Highlands (PNG) Ltd, the subsidiary of ExxonMobil, said equipment and machines for early works for Australian company Glough Curtain Joint Venture (CCJV) were still sitting idle at the wharf in Lae waiting for affected sections of the highway to be repaired and freed up before the equipment and machines could be transported to the project site. One of the worst affected parts is at Kalguwi village, near Kagul River, on the border of Western Highlands and Southern Highlands provinces. Yesterday, a policeman attached with the Kaupena-based police highway patrol unit 17 reported that more than 100 trucks and cars were stranded at either side of the highway at Kalguwi. He said that section of the highway had fallen into a state of complete disrepair and while light four-wheel-drive vehicles were being pushed and pulled to negotiate the landslip and the huge crater-like potholes up the slopes, heavy vehicles were unable to cross. Police highway patrol units have been working around the clock to control traffic and ensure locals do not take advantage of the situation to harass commuters. Imbonggu community leader Pius Alopea said The National. Government should immediately look into repairing this section of the highway as it was becoming a national disgrace. Mr Alopea said many vehicles had developed mechanical problems on this section of the road while the flow of goods and services into Southern Highlands had been greatly affected. Mr Alopea said with the current wet season in the region, the road condition would only worsen unless the authorities do something. CLASSES at the Mt Hagen Technical College in Western Highlands province were suspended on Monday due to a suspected outbreak of typhoid, The National reports. According to unconfirmed reports from student sources, about 60 students contracted what they believe to be typhoid. The figure is likely to increase after all 400 students, lectures, support staff and their family members went for a voluntarily blood test yesterday. Principal John Kiele said the results of the test would be made available today. He said many students were complaining of typhoid symptoms when classes were suspended. Mr Kiele said a team from the provincial health disease control visited the college and checked the dormitories, water tanks, supplies and collected blood samples from the students, staff and their family members. He said that typhoid was caused by water, but was too early to point fingers at who is to blame. Mr Kiele said that the cause of the problem would be revealed after investigations were complete. He said the water problem was an on-going issue and this was not the first time the college had been affected by typhoid. He said many of the students suspected to be infected with typhoid, were given medical treatment, however, no students were admitted at the Mt Hagen Hospital. Mr Kiele said the suspension of classes would be indefinite. The staff of Mt Hagen General Hospital, who tested blood samples, did not release any information when approached by The National. They said the test conducted was confidential and they were not allowed to release the results to the media. Caption: Queensland Reds captain Will Genia getting ready to pass the ball against the western Force in round five of the Super 14 earlier in the month. Genia was praised by former Wallabies scrumhalf George Gregan as being better than him and on his way to greatness. Papua New Guinea could be looking at its first international sporting great, The National reports in its March 31 edition. PNG has had several of its sports men make a name for themselves overseas and be considered among their code’s best competitors. Marcus Bai in rugby league, Stanley Nandex in kickboxing and Mal Michael in Australian Rules spring to mind but 22-year-old rugby union scrumhalf and current Queensland Reds captain Will Genia could set a new benchmark for Papua New Guineans making it big on the international sporting scene. One of Australia’s greatest halfbacks, George Gregan, has hailed incumbent Wallabies No.9 Genia as a superstar with more skills than him. Such has been the meteoric rise of the young man who comes from Abau in the Central province who did not start playing rugby until senior high school. Genia at a nuggety 82kg burst onto the international scene last year and after just 11 Tests, Gregan is touting him as a future Wallaby leader. Pound for pound Genia is the strongest Australian rugby player, benching 172kg. “He’s got a lot more skills than me,” Gregan said of Genia. “He’s bigger, stronger and he can kick a lot further. I’m a dinosaur compared to him. He’s got a good head on his shoulders. They are big wraps from the Zambian-born Bledisloe Cup-winning captain who also won a World Cup in 1999, played 139 Tests for the green and gold, and 136 games for the Brumbies, which included two Super 12 titles in 2001 and 2004. You would trust his judgement as far as halfbacks go. Gregan will long be remembered for his gritty determination which was highlighted by his infamous Bledisloe Cup-saving tackle on Jeff Wilson in 1994. He turns 37 in April and will continue to play professional rugby for Suntory in Japan, under Eddie Jones, until mid-February next year. Gregan was full of praise of Genia, whose potential was also noted by Reds coach Ewen McKenzie who made him captain this year. “I think that leadership has really helped him go from strength to strength,” Gregan said. Some have gone as far to say Genia is the next Gregan. “He’s is his own man, and he’s doing a great job. He also picked up the game late which shows how much talent he has,” he said. PNG Pukpuks coach Billy Rapilla added further accolades on Genia saying he was effectively the world’s best scrumhalf on current form. “He’s the best halfback right now and you can’t argue with Gregan’s opinion. “Will is playing some very special rugby and his profile is rocketing off because rugby union is a truly global sport played in over a 100 countries,” Rapilla said. On whether Genia’s accomplishments merit being rated above Bai’s and Michael’s Rapilla was circumspect. “You really can’t compare Genia’s achievements to Marcus or Mal. You’re not comparing apples to apples, these are different sports,” he said. Agriculture staff in Solomon Islands are in dire need of capacity building in various areas in agricultural research and development to carry out their mandates effectively and efficiently, according to Edward Kingmele, parliamentary secretary with the Ministry of Agriculture and Livestock (MAL) there. He, however, said the new sub-regional programme on capacity building for the three Western Pacific countries - Solomon Islands, PNG and Vanuatu - would now address that capacity. “Thus, it is a superb achievement by PNG National Agriculture Research Institute, MAL of Solomon Islands and the Vanuatu Agriculture Research and Technical Centre (VARTC) to win funding for three-capacity development projects in this highly-competitive call from European Union (EU) to the African Caribbean and Pacific (ACP) group of states which will benefit researchers in our countries,” Mr Kingmele said. He said this during the launch of an ACP science and technology programme on capacity building at the Sir Alkan Tololo Research Centre in Lae recently. He was among stakeholders from key government and non-government agencies from Solomon Islands, Vanuatu and PNG who witnessed this milestone development. The major local stakeholders included the management and staff of NARI, Fresh Produce Development Agency, Coffee Industry Corporation, Cocoa Coconut Institute and PNG Women in Agriculture Development Foundation. 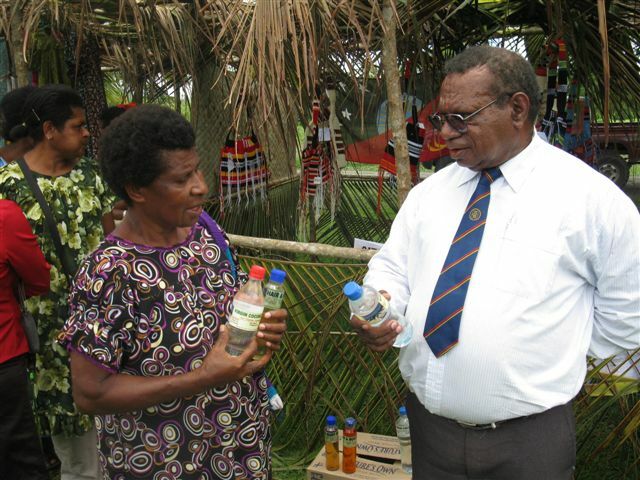 Mr Kingmele added that agriculture was the backbone of Solomon Islands as it was the major productive sector, but following the crises in 2000, agricultural research and development in Solomon Islands was crippled in terms of both research and human capacities. During the launch, programme partners NARI, MAL and VARTC signed a memorandum of understanding to work together in the programme over the next three years. “The signing ceremony of the MOU between the three countries signifies a milestone in the move that Solomon Island and Vanuatu government are embarking on - having serious partnership arrangements with the regional organisations such as NARI and other lead agriculture bodies in PNG,” Mr Kingmele said. The ACP S&T programme, totaling K11.5 million, is an ACP EU co-operation programme aimed at supporting ACP countries in formulating and implementing science and technology policies that can lead to sustainable development and poverty reduction through economic growth and progressive integration in the world economy. The specific purpose of the programme is to strengthen the internal science and technology capacity of ACP countries to support research development and innovations in the ACP region at institutional (administrative and policy making), academic (research and technology) and civil society (business) level. The programme will be implemented in the three Western Pacific countries involving nine different organisations. “You can never fail to be a farmer,”’ stresses Navi Anis, chief executive officer of the Coffee Industry Corporation (CIC). He quoted from remarks made by James Korarome, a CIC board director at the launch of the nursery programme last month at Aiyura in Eastern Highlands. Mr Anis was the guest-of-honor at the recent launch of the coffee nursery programme for pilot coffee curriculum schools in East Sepik province. He observed in his first official visit as CEO that many farmers along the Yangoru and Maprik sections of the Sepik Highway had abandoned their coffee trees. Mr Anis expressed sadness at the sight and asked farmers to rehabilitate the coffee trees when officiating at Maprik High School. Maprik district is the top producer of Robusta coffee in the country so it was fitting that the event took place in the district. Mr Anis said grower groups were the way to move forward in the coffee industry. Service delivery in groups is cost-effective and it provides opportunities for controlling quality of coffee as well as marketing the product. The occasion was witnessed by stakeholders including students and teachers of participating schools, coffee farmers, provincial agriculture and education officials, and invited guests. Coffee curriculum advisor Dr Arnold Parapi, who is in charge of implementing this CIC innovation, explained that the nursery package for participating schools would allow students to carry out practicals in the field rather than in the classroom. “It is a field laboratory,” he said. Brian Waranduo and Samuel Pongiwa, principals of Burgam High School and Yangoru Secondary School respectively, said they saw a bright future for the coffee industry in the province. Schools that are participating in the coffee curriculum pilot programme in the province are Burgam, Kubalia and Maprik high schools; Yangoru Secondary; and Negri and Banik primary schools. Simon Peter, chairman of Maprik High School Board and a former CIC employee, countered that ‘”CIC officers are no longer sleeping with farmers” as was the case in the past. East Sepik was the leading Robusta coffee producer until the intrusion of vanilla when farmers started abandoning their coffee gardens. However, according to East Sepik Coffee Cooperative chairman Jerry Anisi, production in the province was bouncing back. 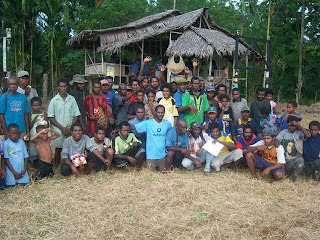 “We may see East Sepik coffee regaining its status as the No. 1 producer of Robusta coffee in the near future,” he said. Japan and the United States, as the hosts of the Asia-Pacific Economic Cooperation forum in 2010 and 2011, are cooperating closely to achieve substantive outcomes that will contribute to the growth and prosperity of the Asia-Pacific region. Together with the other APEC economies, our two governments are working closely to push forward on regional economic integration, taking a practical and concrete approach. We are also cooperating in the design of a new growth paradigm for the region, to promote growth which is more balanced, inclusive, environmentally sustainable, and knowledge-based. We are determined to take the lead in ensuring that APEC continues to serve as a driving force for economic prosperity in the Asia-Pacific region and around the world. Japan and the United States look forward to working together with the other APEC economies to inspire new ideas for cooperation and to generate concrete outcomes. · We will work together to ensure that APEC plans and implements specific and significant actions aimed at sustainably increasing agricultural productivity and food availability, and facilitating agriculture-related trade and investment in the Asia-Pacific region. · We will organize a Women's Entrepreneurship Summit to address policy, human resources and financing issues, thereby galvanizing the Asia-Pacific region to unleash the potential of women as entrepreneurs and business leaders. · We will cooperate in addressing climate change by exploring opportunities to help economies in the Asia-Pacific region, particularly small island economies, to be better prepared to adapt to the likely impact of climate change. · We will cooperate to enhance emergency preparedness in the Asia-Pacific region, with a focus on public-private partnerships and networking among experts, building on the outcomes of the Fourth APEC Senior Disaster Management Officials Forum in Kobe in January 2010, and deepening discussions at the Fifth Forum in the United States in 2011. Beyond these measures, as APEC hosts in 2010 and 2011, Japan and the United States are working closely together to enhance the operations of the APEC organization, with an eye toward improving accountability and efficiency, and ensuring that projects and activities are closely linked to core APEC priorities. Captions: 1.Women and children gather to support their menfolk in reviving the cattle project at Ossima. 2. Long-serving livestock officer Paul Waiya checking on a cow at the mission station paddock.3. Happy resource owners and villagers express their support for the cattle project. A proposal to revive the once-active Ossima beef cattle project in the Sandaun province is in the best interest of the resource owners, local communities and the country as a whole. An initiator and former councilor David Osi said the project would create income-earning opportunities and improve the people’s livelihood and restore the once highly regarded Ossima beef products. MrOsi said the area in the Vanimo-Green River district had been neglected through lack of agricultural and basic services since the cattle industry declined several years ago. The Catholic Church previously played a key role in operating the Ossima cattle and slaughterhouse as well as piggery and other livestock and food crops activities. Mr Osi told a public hearing on the proposed Ossima forest and cattle project last week that many landowners were keen to revive the cattle project because of its enormous potential to provide beef products to consumers in Sandaun and the neighboring Indonesian province of Irian Jaya. The increased population in Vanimo town and other communities through introduction of impact projects will mean more demand for supply of protein. He said most people still had the knowledge and skills in managing cattle and did not require much training. However, the key objective is to get the government to provide funding and technical assistance to revive the project. “We really need government assistance to get the cattle project up and running again,” Mr Osi said. “Ossima beef used to be highly regarded in the past and can be restored to its former glory. “There is a lot of potential for beef and other livestock. “You can grow oil palm but you will need protein to survive and the Ossima project provides that opportunity for the people to raise cattle and utilise the slaughterhouse, and venture into other agricultural activities. “Nobody is going to come and feed you- you have to work hard on your land. Mr Osi said he had received assurances from the provincial government and the local MP that they supported the project and urged other relevant government agencies to work with the landowners in getting the project moving. Vice-chairman of the landowner company Ossima Resources Ltd, Kalistus Kelau and directors Paul Buep and Peter Bopi, said majority of the resource owners fully supported the initiative. They said cattle beef farming was once a thriving livestock industry under the management of the church and they believed that it could once again become an impact project for the area. Government officials who attended the hearing said they took note of the comments and would strive to provide technical assistance to intending farmers. A livestock officer with permits in slaughterhouse and meat inspection, Paul Waiya, said he was now reaching retirement age and urged the project proponents and resource owners to move quickly and utilise his specialist skills. With over 30 years experience, Mr Waiya worked in Ossima beef most of that time and agreed that it still has vast potential. Ossima Resources Ltd in partnership with investors is seeking the extraction of timber trees whereby selective sites will be allocated for cattle breeding. Slaughterhouse facilities at the Ossima station will be upgraded to cater for the redevelopment. It is expected to benefit more than 10,000 people in the district. Department of Agriculture and Livestock’s deputy secretary for provincial and agriculture technical services, Francis Daink, said agriculture development was the backbone of the country’s economic development and those new or existing projects would support and improve the people’s livelihood. He said there was suitable land in the Vanimo-Green River district for cattle grazing which made the proposal look more promising. Over 200 resource owners including clan leaders, women’s representatives, community leaders and individuals unanimously agreed for the project to commence. 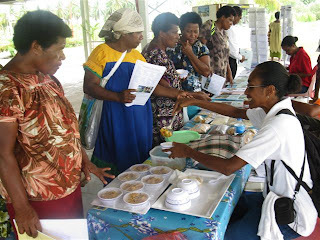 Samantha Gangai (seated) who is a research assistant with the National Agricultural Research Institute (NARI) promoting healthy eating by showing women in agriculture how to prepare a delicious meal out of mung bean sprouts, vegetables and rice. She had samples out and everyone who tasted it commented favourably about it. Just harvested from their rice fields in the Wahgi area of the Jiwaka area. The women of Southern Highlands travelled a long distance to get to Lae for the Women in Agriculture roundtable talks. This is Martha Yawij, president of the Tari LNG women who are involved in vegetable and livestock production in the Tari-Hides LNG area.These women have a huge potential for their produce with the LNG project just starting. WOMEN from Gabsongkeg village near Nadzab entertaining visiting delegates to the women in agriculture roundtable conference at NARI near Lae. 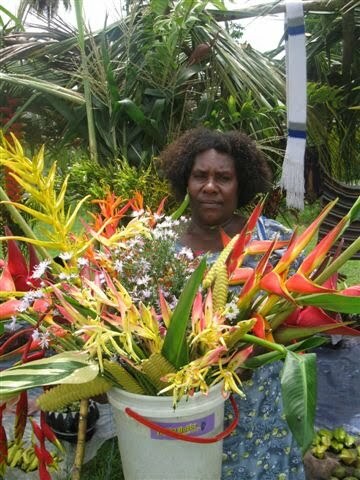 Susie Silas from Busanim Yalu outside Lae displaying her flowers at the Women in Agriculture roundtable conference. Horticulture is one of the agriculture businesses being talked about at the conference. Who would beat giant guavas?These are the fruits from the Nglonzua Farm at Munum Village near Lae being displayed by young grower Leilah Gugua at the Women in Agriculture show.These guavas are selling for K4 a fruit. Rural women farmers throughout Papua New Guinea gathered in Lae this week for a roundtable talk with key stakeholders in the agriculture sector. The PNG Women in Agriculture Development Foundation (PNGWiADF), with support from AusAID, hosted the meeting on possible organisational support towards PNG women in the agriculture sector. PNGWiADF president Maria Linibi said the immediate outcome expected from this forum was to establish collaboration and partnership with various stakeholders, government agencies and donor partners to fund and/or implement components of the PNGWIADF Strategic Plan. While the high-level talk was scheduled for yesterday, the rural women farmers attended a capacity-building workshop on Monday, followed by a knowledge-sharing field day the next day to showcase their agricultural innovations and potentials. Chief Secretary Manasupe Zurenuoc gave the keynote address while Secretary for Agriculture and Livestock Anton Benjamin chaired the roundtable talk. Among the dignitaries was Minister for Agriculture John Hickey and representatives from various government agencies, international donors such as AusAID and the Australian Centre for International Agricultural Research (ACIAR), Australian Women in Agriculture, Rural Industries Council, National Agriculture Research Institute and women leaders and farmers. Ms Linibi said the three-day event was also to gain recognition of the role of PNGWiADF as the voice of women in agriculture who contribute to food security through the implementation of the PNGWiADF strategic plan. “In staging the round-table forum, PNGWiADF is bringing women’s voices to the attention of donor partners, line government agencies and other stakeholders to recognise its strategic plan as a plan for all rural women who depend on agriculture for their livelihoods,” she said. 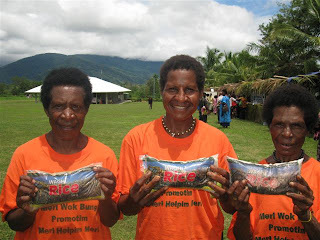 “The plan was developed by the women and it echoes and complements other macro plans such as the Millennium Development Goals, PNG Vision 2050, Medium Term Development Strategy (2005-2010), National Agriculture Development Plan (2006-2016), and NARI Strategic Plan (2006-2015). 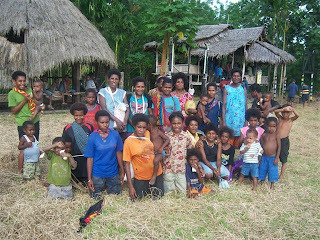 Among those who traveled to Lae this week were individuals and groups from Kikori (Gulf), Kutubu and Moran (Southern Highlands), Western Highlands, Eastern Highlands, Sandaun, East Sepik, Hiritano, Oro, East New Britain, Maprik, Aitape Laumi, Abau, Madang, Bougainville, Sogeri, Ramu, Mutzing, Mumeng and Markham. The forum’s minor sponsors included Trukai Industries, PNG Democratic Governance, NARI, Rural Industries Council, Momahi Guest House, Tropical Niugini Woods and Australian Women in Agriculture. Port Moresby PNG; Cairns, Australia and Houston, TX --March 29, 2010 --INTEROIL Corporation believes that allegations made in an article concerning certain litigation which has been ongoing in Texas since 2005, have been raised now in an attempt to divert attention from the successful operations of the company. The article was timed to benefit recent short selling activities. The “short” interest in InterOil increased to 3,548,056 shares in mid-March. InterOil's policy is to not provide commentary on ongoing litigation beyond the description of it appropriately and consistently set forth in our Annual Information Statement and Form 40-F available on our website or from the SEC. In our Annual Information Form (AIF), filed on March 1, 2010 the Company continued to disclose that Company's Chief Executive Officer, Phil Mulacek, and his controlled entities Petroleum Independent & Exploration Corporation and P.I.E. Group, LLC, together with the Company and certain of its subsidiaries, are defendants in Todd Peters, et. al. v. Phil Mulacek et. al. ; Case No. 05-040-03592-CV; pending in the 284th District Court of Montgomery County, Texas. Appropriate details concerning this long running action are provided. InterOil and its subsidiaries were not party to, nor otherwise involved in, the Nikiski Partners filing referenced in the article. THE STORY, “Ramu mine work halted”, (Post-Courier, Wednesday, March 24, 2010 p.31) is wall now exposed. Time was when miners hid behind the wall from reach of landowners. The game is shifting. Landowners will bring down the wall. That wall and its Waigani legal eagles will soon be laid bare. Plot World Bank and European Union had leaders did not know. 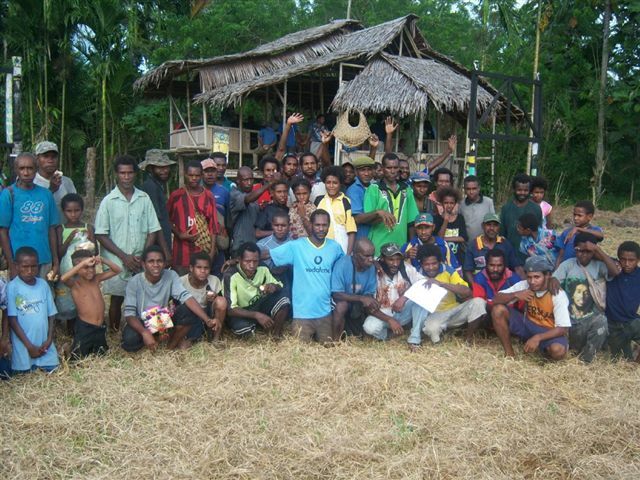 Mineral Resources Authority (MRA) is very dangerous for PNG. No lawyer of Government had wanted truth known. When I raised serious constitutional legal issues in September and October 2006 with the Government’s Law Office it was enough to get their arrogance ignited. Little did they know about MRA. Mole MRA planted in Justice Department was a politically devious lawyer from Wakunai. Rest Wakunai leader wanted hidden. No more and MRA is wandering leaderless already. Many truths about MRA are out. National Alliance (NA) Party leadership struggles is a result of MRA withdrawing mining powers on Bougainville from the Autonomous Bougainville Government (ABG). Hopeless and powerless on Bougainville MRA plotted removal of Paul Tiensten. MRA played off NA leaders to hide its sin. At Kainantu Barrick Gold acquired Highlands Pacific’s interest to shut the mine. MRA has not raised an eye. At no time and place has MRA acted for PNG people. Ramu mine is worse. It wanted Somare and his leadership to be openly challenged. Looking at lot of abusive and derogatory articles on the internet blogs for Ramu mine and crime and corruption in PNG tells a lot about MRA. It has not answered any of these articles for the leadership of Somare. Gooding is last person to know about MRA it seems. No miner including Highlands Pacific has challenged my view that MRA is a counterfeit regulator of mines. MRA is unconstitutional and was operating illegally. It has no legal standing and competence to do anything lawful. For Ramu mine this means MRA had no lawful authority and worse no legal competency to approve mine construction in about June/ July 2007. Highlands Pacific, like the Ramu mine manager and operator, has no code of ethics to have let the Government know about this basic and fundamental legal flaw. Law on MRA is unconstitutional. MRA is now exposed. Miners will regret working with MRA. And ignorance of law is no excuse. Knowingly supporting breach of law and worse constitutional law is reckless. Gooding, how do you fare? Japan-Papua New Guinea relations take a turn for the better tomorrow (Wednesday March 31) with the opening of the new PNG Embassy building in Tokyo and the commencement of twice-weekly Air Niugini flights from Port Moresby to Narita. Prime Minister Sir Michael Somare will open the new PNG chancery today, the same day that Air Niugini launches its second weekly Port Moresby-Narita flight. Charge d' Affaires Dennis Bebego said from Tokyo that the PNG Embassy in Toky was currently in the process of finalising arrangements for the formal opening and naming of the newly-constructed building by Sir Michael. "This is a significant national event and is a realisation of the national government's commitment to the tune of K20 million towards this chancery project," he said. "It is historic in that this would be the second building to have been constructed and owned by the government to house its overseas diplomatic mission; the first being the PNG High Commission building in Canberra. "The construction of this chancery, which began in May 2009 with a groundbreaking ceremony performed also by Prime Minister Sir Michael Somare, was completed in December last year and the building formally handed over on Jan 19, 2010. "It is now scheduled for formal opening on Mar 31, 2010, when Prime Minister makes an official visit to Japan. "A large entourage of guests and VIPs from PNG as well as Japan will attend the event." Mr Bebego said the commitment by the government to this project was recognition of the important and maturing relations between Japan and PNG – "a relationship that in recent times has gone to a higher level, with the recent involvement of some high profile Japanese companies in the PNG LNG project". 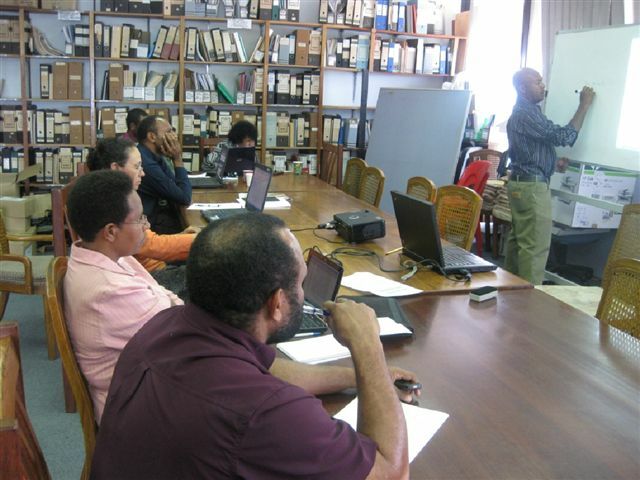 The University of Goroka last week hosted a workshop with Flexible Open and Distance Education (FODE) to discuss a partnership with UOG's School of Distance and Flexible Learning (DFL). FODE will form the basis of support for new programme - Bachelor of Education in School Management at UOG - starting in semester two of this year. The roles, responsibilities and functions of the entities involved were part of the workshop along with critical components for the delivery and support of learning materials to distance learners. Topics such as learner support functions, tasks and the perceptions of distance learning were also covered. A mission statement was also developed at the workshop based on in-service teacher education through the partnership with FODE. Ouka Lavaki (ML), assistant secretary National Capital District for general education services, was present at the workshop and fully supported UOG’s move to offer in-service teacher education via DFL. Mr Lavaki said the programme at UOG was “a way forward for many teachers out there who wish to upgrade by bringing services to their doorstep”. The workshop was also attended by Eileen Lala, academic registrar from FODE and provincial co-ordinators from Eastern Highlands Joe Sogone, Western Highlands Robert Alua and Oro Cecilia Gangai. FODE distance learning centres will be utilised as support centres for the DFL program. Demas Tongogo, principal of FODE, said he was happy to be “party to the work UOG is doing to upgrade teachers and to directly contribute”. Visiting specialist in distance learning ProfTony Wrightson commented “it was not an easy task to begin nurturing this ‘baby’ at a single mode institution like UOG… but this kind of innovation is about access and giving opportunities to those who could never have tertiary education before”. Prof Wrightson said that UOG staff and their goodwill towards DFL had been of a high standard, and that it made sense for UOG and FODE to march together to achieve their goal. A memorandum of agreeement (MOA) document is planned to be signed between UOG and FODE later this year. UOG is fully committed to DFL and has provided funding and new staff positions to assist with the running of the new course. FORMER Bougainville Regional Member and Ambassador John Momis (pictured) became the fourth candidate to nominate to contest the presidential seat in the Autonomous Bougainville Government second general elections yesterday, The National reports. He was accompanied by a huge crowd of supporters which included the sacred UPE group from Wakunai. Mr Momis will lead the New Bougainville Party in this coming election. The other three presidential candidates who have nominated are current President James Tanis, Ruben Siara and a woman candidate, Magdalen Toroansi. Mr Tanis was the first to nominate following the issuing of writs last Friday. He started his campaigning at Gogohe at the weekend and is now in Arawa.